GloberDesign is a product design company that specializes in helping people to make designs for their inventions and prepare patent drawings, using the most up-to-date, cutting-edge technology. We have a team of engineers, computer workers, and others that are ready to help clients at every step of the way, from product design and prototyping to web design and marketing. What is a Patent Drawing? 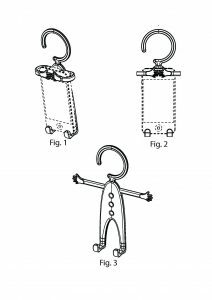 Patent drawings are a set of illustrations showing the precisely detailed features of an invention or idea submitted during the patent application process. These drawings may include an illustration of the invention itself, or of some aspect of its creation or construction. The United States Patent & Trademark Office (USPTO) requires that every patent application is submitted with at least one patent drawing of the proposed invention when an illustration is necessary to fully understand the invention.The practice of making patent drawings is over a hundred years old; there is a drawing of the typewriter made in 1868 by Sholes, Glidden, & Soule stored in the National Archives of the Patent & Trademark Office. Most jurisdictions have laws covering the conditions requiring patent drawings. In the United States, a patent drawing must be included with an invention if visual aids are indispensable for an understanding of how that invention is supposed to work. It must show every detail of the invention, and the laws also dictate what size and type of paper the drawing has to be on, the size of the margins around the picture, and many other factors. 3D modeling is one of the most important services that GloberDesign has to offer. It is far superior to 2D modeling: The observer can easily grasp the spatial concepts involved and see how the new machine is supposed to operate. In addition, the exact measurements of the invention can be outlined much better. The development of computers and the Internet has vastly expanded and modified the ways in which patent drawings may be made. The many companies that have used GloberDesign’s services bear witness to how effective and excellent they really are. These clients include companies from every sphere of the business world, ranging from the fan-cooling Power Breezer to Coca Cola Israel!